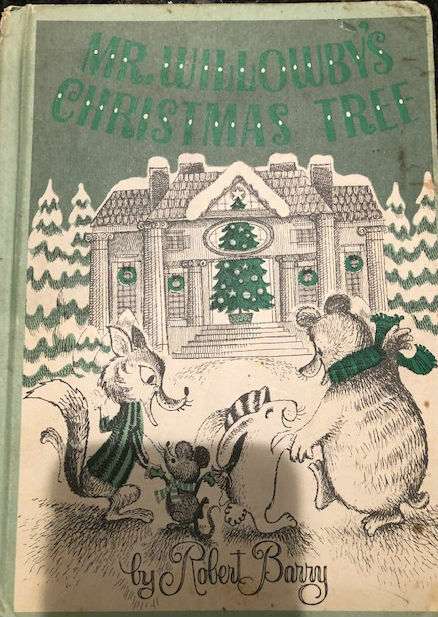 The general story is well to do Mr. Willowby gets a huge beautiful Christmas Tree for his grand parlor and when they stand it up, its too tall and the top needs to be lopped off and its thrown away. The book then follows this poor tree top trimming from house to house to family to family as they too find it’s a bit big and lop off a top yet again and discard the trimming with no worry. Like all books, the interpretation and take away is left up to the reader. For me, I first thought about my children and how they very much have a life of ease and that every day there is likely something that we discard in haste that could serve a better purpose. If we do a more mindful job and keep teaching them, they may understand what our frequent stops to the “donation place” are truly for. Next though, I think about our clients and their experience. Are there pieces of information I read, see and know, that I discard too hastily and not share? Next year is the 15th year of starting the business and maybe there are ideas that I once took more time to explain that I now breeze through? Anyhow I slice it, these simple stories are incredible. I get to be with my family, spending time with them and then sometimes we read one like this, at the right time of year, that gives pause for some reflection and self inspection.